Click here to be notified when more Pigeon Frames arrive. SKU: Tyke. Tags: digital frame, digital photo frame, pigeon, The Pigeon Frame, tyke. 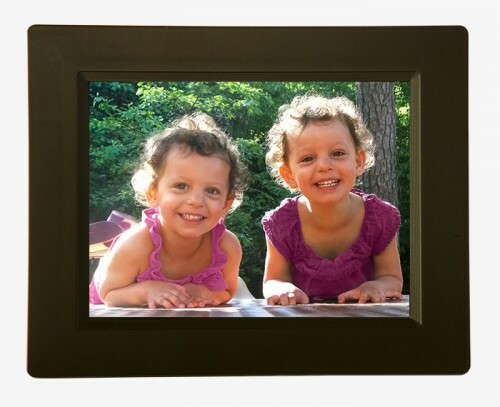 “Tyke” – Designed with noteworthy features, this Pigeon WiFi Cloud Digital Photo Frame has everything you could ask for in a modern digital frame. 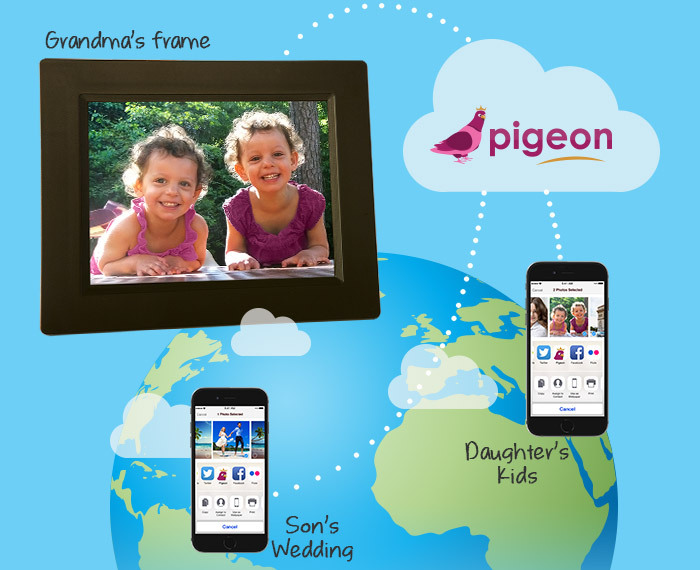 The Pigeon Digital Frame receives photos and videos from a linked Android or iOS mobile device using The Pigeon App. 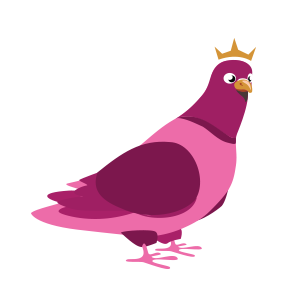 The Pigeon App is made for iOS 8+, iPhone 5+, 4th Gen iPad and beyond and 5th Gen iPod Touch and beyond, as well as Android 4.1 and beyond. Really excited about this – gave the idea 5 stars! Will it be available before Valentine’s day? We’re glad to hear that you’re excited as we are! Unfortunately our “Tyke” model will not be shipping until April 2015. However, you can download our Gift Certificate (available on the home page) if you’d like to give the frame for Valentine’s day! I just saw your Kickstarter campaign! I’m telling everyone I know to back your project! Thanks Michelle!! We’re so glad that you love the product and you’re amazing for helping us spread the word. WHY HAS NO ONE EVER DONE THIS BEFORE!!?? Pigeon Frame is exactly what I need for my father who lives in an assisted living facility across the country! Thank you! OMG this is the greatest thing since sliced bread!! For my mother’s 95th birthday we gave her the Pigeon Frame. She has family from Maine to Oregon and every place in between. We have assigned one person from each family to load pictures. She used to just lay in bed until late in the afternoon. Now she is excited to get up to see what’s on her frame! It’s so good to be able to see on our phones what pictures she has so we can explain to her if we need to about the picture. This is absolutely incredible! Thank you so much!! Great idea! At first, pics were not showing on my MIL’s frame, but it seems to be working now. I wish we could upload more than 3 photos at a time. Sometimes, pics appear to have loaded but they don’t end-up in the “library.” Just technical glitches I guess, but I am sure that with time, the app will be more reliable with the iphone 6. So far, we love it and I would like to get one for my mom, too! These are fantastic! They are perfect for grandparents! 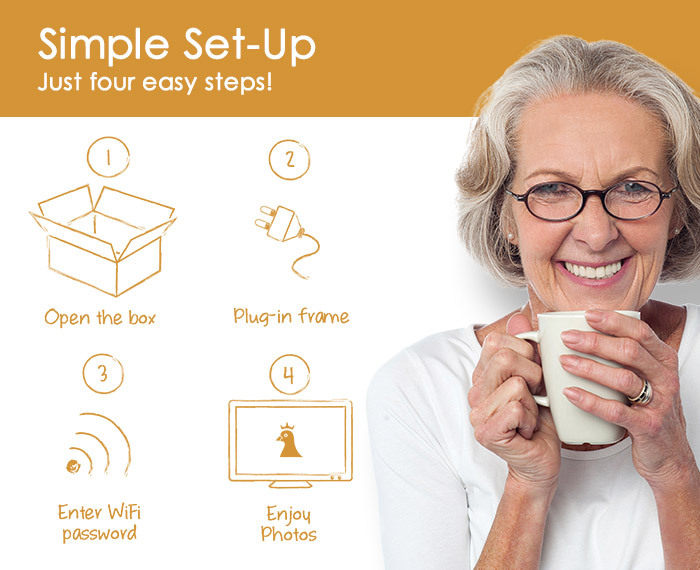 It is so easy to upload pictures and grandparents don’t have to worry about anything, they can just enjoy! We are sad it’s out of stock, bc we would love to order more. Oh my gosh – this is so awesome! Now my mom has one in addition to my mother-in-law, and I can post pictures to both frames at the same time. This is so truly awesome and I keep telling everyone about it! You gotta get this for your parents/grandparents! My daughter got me this for Christmas and I absolutely love it she is stationed in California with the military and I also have a younger son who him and his wife and Child live across town but they have been sending me pictures and I absolutely love it it’s it’s next to my bedside it was very easy to set up very easy to use it’s fantastic and best of all now I get to see everyday pictures of my grandchildren. Thank you for this wonderful product.